At age 40, my mom quit her job to start an employment agency for people with disabilities. Over the next few years and without a college degree or any formal funding, she grew her business to employ more than 30 people and serve thousands of clients. Though to me she's one-of-a-kind, it turns out there are other women like my mom out there. 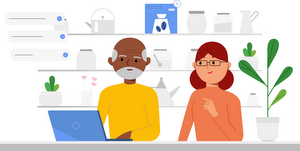 According to the National Association of Women Business Owners, women make up 30 percent of U.S. business owners and employ nearly 7.8 million workers. Even though women-owned enterprises operate with far less capital, in the venture-backed tech industry, they produce 12 percent higher returns. That means that not only is supporting women in business the right thing to do, it’s also the smart thing to do. 1871 in Chicago is launching a new accelerator program for women founded or co-founded companies that’s more flexible and family-friendly, with a customized plan for each startup. Gaza Sky Geeks in Gaza is providing rewards for women attending startup events to demonstrate the economic value of them getting involved in tech to their families. Startup Grind chapters all over the world are hostingWomen Take the Stage fireside chats featuring successful women business leaders in their communities. Outbox in Uganda is launching a year-long training to teach young women programming and entrepreneurial skills. Astia is increasing female entrepreneurs’ access to capital by creating monthly opportunities for women-led companies to pitch to world-class investors. Along with our 40 partners, we hope to create more inclusive networks and to move the needle for entrepreneurs like my mom—and young women like me who aspire to be like her. 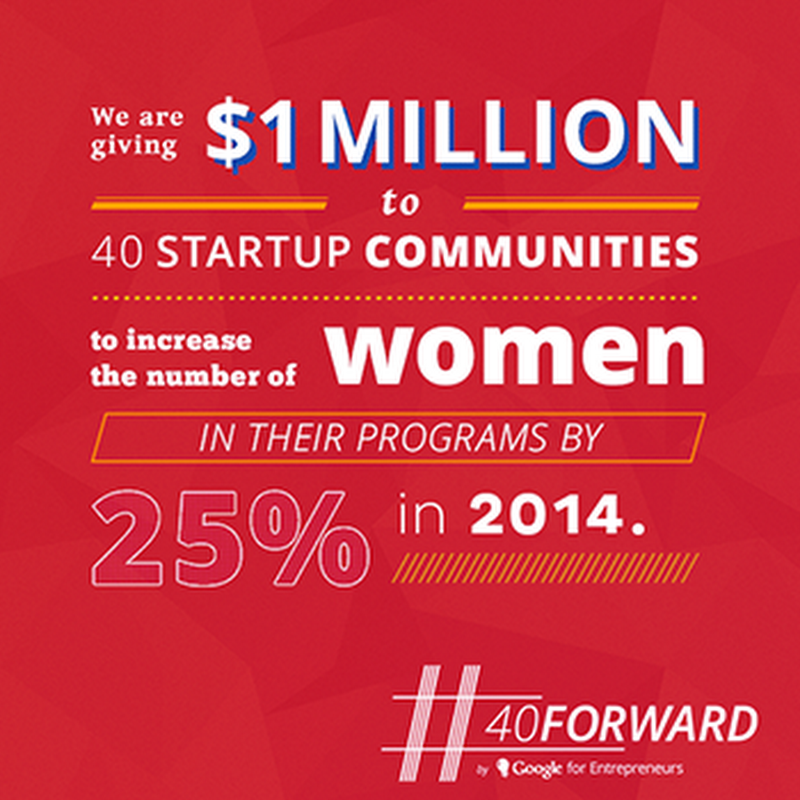 Follow and participate in the conversation throughout the month of March using #40Forward on Google+ and Twitter.